Chuck Taylors, ukuleles, and my own sanity. I really wish I was a one-note samba. I mean it. I wish I had one ability, one passion, one benevolent, artistic master to which I paid supplication and deference. But that isn’t me. One minute I’m a blogger. The next turn, I’m a magician. The next a guitarist, singer, teacher, writer, comedian, film maker, and general syntax consultant to my friends. One minute I’m carping about writing a satirical tech manual. The next, I’m hoping a magazine article goes vertical. I believe the clinical term for this is, schizophrenia. 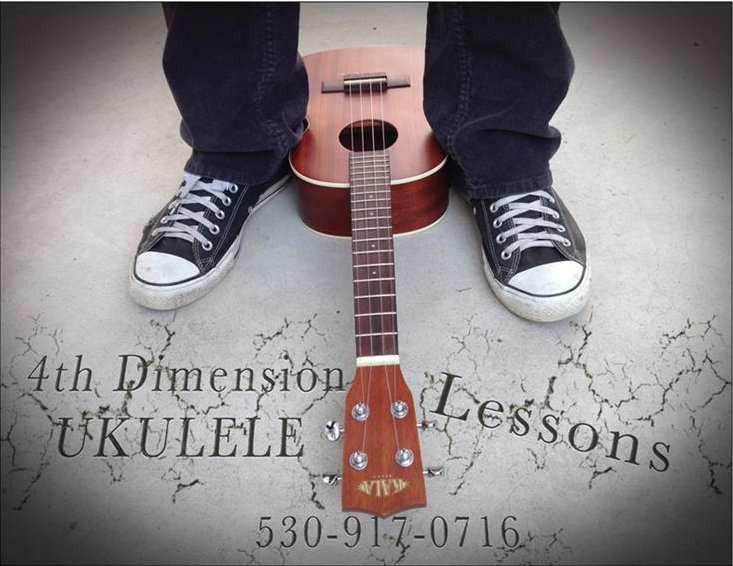 Today, I am a ukulele instructor. Look. See? I ordered 500 of these little babies. I even hatched, to quote Baldrick from the Rowan Atkinson series, Blackadder, what is known as a “cunning plan;” Ukulele virtuoso, Jake Shimabukuro, is playing the theater near my house in 15 days. 999 people will fill that theater. Jake’s tireless ambassadorship of the instrument will convince at least 30 to seek out lessons. That’s right. Mr. Precocious will be there to save them when Jake releases the Kraken. I even got permission to have these stacked at the drink counter when some of the more refined audience members draw a causal relationship between Leonard Cohen’s Hallelujah and . . . um, alcohol. Anyway. All my other offices, manifestations, theophanies, identities, a.k.a.s, noms de plume, reconstitutions, reinventions, and alter-egos are still viable. I’ve just managed another one. I DO also teach guitar, but right now, I am enjoying the ukulele journey–and trust me, it’s a lot more fun than I EVER thought it would be. Oh yeah, and I Skype as well. Hit me up, homies! This entry was posted in Books, Film Making, Guitar, Music, Ukulele, Writing and tagged Blogging Advice, Jake Shimabukuro, publicity, publishing, Self publishing, Skype, ukulele instruction, writing. Bookmark the permalink. 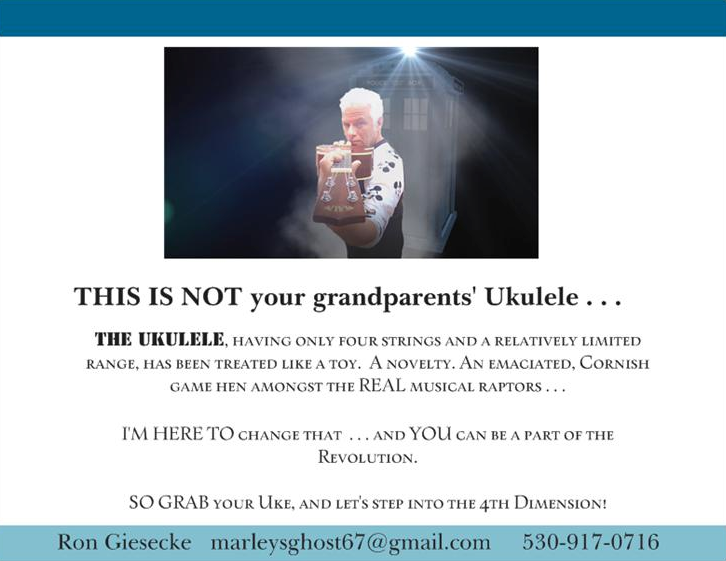 4 Responses to Chuck Taylors, ukuleles, and my own sanity. Sounds more like ADD to me. You don’t strike me as psychotic. I was pretty sure I was wrong–but there is far less humor to be found in the correct application of diagnoses. I knew you were being humorous. So was I… I guess it’s my dry New England humor. I personally like the “mid-life crisis” diagnosis. Hey, thanks for the like. Go check out my other website http://informationintelligent.com. You can follow that website as well. Just sign up to the mailing list. Follow me on twitter, google plus, and facbeook. If you like my website leave a comment and go to my facebook fan page and hit the like button.